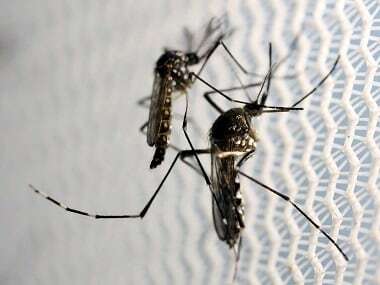 New Delhi: Zika virus disease has reached India, with the World Health Organisation (WHO) confirming first three cases in Gujarat's Ahmedabad. The WHO endorsed the findings of laboratory tests conducted in the country, saying all three cases, including that of a pregnanat woman, were reported from Bapunagar area of the city. 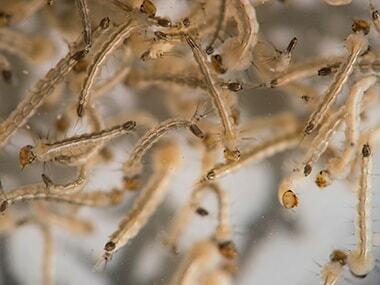 The disease is spread by daytime-active Aedes mosquitoes and an infection during pregnancy can cause birth defects in newborns known as microcephaly — a condition in which babies' head is abnormally small. It is characterised by brain damage and may cause other defects like blindness, deafness, and even seizures. "The Ministry of Health and Family Welfare - Government of India (MoHFW) reported three laboratory-confirmed cases of Zika virus disease in Bapunagar area, Ahmedabad District, Gujarat State, India," the global health body said in a statement. India has strengthened its surveillance system in the past few years to detect and contain new infections. Only three Zika cases have been detected in around 50,000 tested so far, a senior Health Ministry official said. 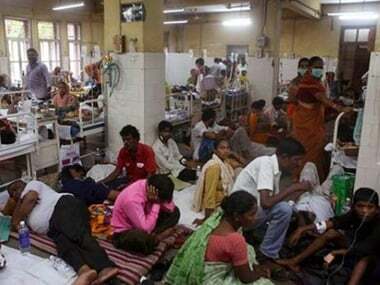 According to the WHO statement, routine surveillance detected a laboratory-confirmed case of Zika virus disease through RT-PCR test at B J Medical College in Ahmedabad. This was further confirmed at the national reference laboratory at the National Institute of Virology (NIV) in Pune on 4 January this year. The WHO said two additional cases were then identified through the Acute Febrile Illness (AFI) and the Antenatal clinic (ANC) surveillance. Between 10-16 February in 2016, a total 93 blood samples were collected at BJ Medical College (BJMC) out of which one sample from a 64-year-old male had tested positive for Zika virus. "This was first Zika positive case reported through AFI surveillance from Gujarat," the statement said. Also, a 34-year-old woman delivered a baby at BJMC on 9 November and during her stay in the hospital she developed a low-grade fever after delivery. The woman had no history of fever during pregnancy and had no history of travel for three months. A sample from the patient was referred to the Viral Research and Diagnostic Laboratory (VRDL) for dengue testing and was found to be positive for the virus. "She was discharged after one week (on 16 November, 2016). The sample was re-confirmed as Zika virus positive at NIV," the statement said. Besides, a 22-year-old pregnant woman in her 37th week of pregnancy was tested positive for Zika virus disease at the same hospital. As per the WHO statement, immediately after the cases were reported, the Health ministry had shared the national guidelines and action plan on Zika virus disease have been shared with the states to prevent an outbreak of the disease and containment of spread in case of any outbreak. 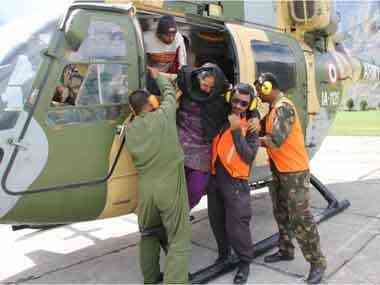 It also constituted an inter-ministerial task force. A technical group tasked to monitor emerging and re-emerging diseases regularly reviewed the global situation on Zika virus disease. All the international airports and ports have displayed information for travellers on Zika virus disease while the airport health officers along with airport organisations, the National Centre for Disease Control and the National Vector Borne Disease Control Programme are monitoring appropriate vector control measures in airport premises. In addition to NIV and NCDC in Delhi, 25 laboratories have also been strengthened by Indian Council of Medical Research for laboratory diagnosis, while three entomological laboratories are conducting Zika virus testing on mosquito samples. "The Indian Council of Medical Research (ICMR) has tested 34,233 human samples and 12,647 mosquito samples for the presence of Zika virus. 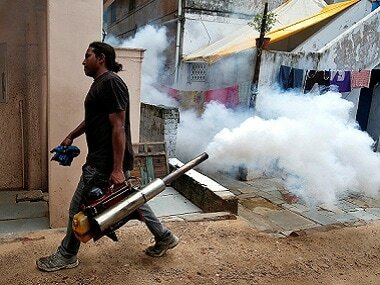 Among those, close to 500 mosquitoes samples were collected from Bapunagar area, Ahmedabad district, in Gujarat, and were found negative for Zika. "The Rashtriya Bal Swasthya Karyakram (RBSK) is monitoring microcephaly from 55 sentinel sites. As of now, no increase in number of cases or clustering of microcephaly has been reported from these centers," the WHO said. While coming out with the report, the WHO said it assumes significance as it describes the first cases of Zika virus infections and provides evidence on its circulation in India. "These findings suggest low level transmission of Zika virus and new cases may occur in the future," it said, while stressing on strengthening surveillance to better characterise the intensity of the viral circulation and geographical spread and monitor Zika virus related complications. "Zika virus is known to be circulating in South East Asia Region and these findings do not change the global risk assessment. WHO encourages member states to report similar findings to better understand the global epidemiology of Zika virus," the statement said. Those infected with the virus may have mild fever, skin rashes, conjunctivitis, muscle and joint pain or headache. These symptoms normally last for 2-7 days. While countries in the Caribbean are worst hit by the disease, a large number of cases have been reported from South and Central America.